MIRTO (also known as Myrtle, or Mirto-bot) is a robotic platform developed at Middlesex University in the School of Science and Technology with the help of staff and students. It has been used in teaching since 2014 and it has been improved in a number of ways during the past two years. The current platform is used not only for teaching, but also for research. In this post I will describe the basic features, some of the applications that have been built on top of it, and the structure of the platform (both software and hardware). 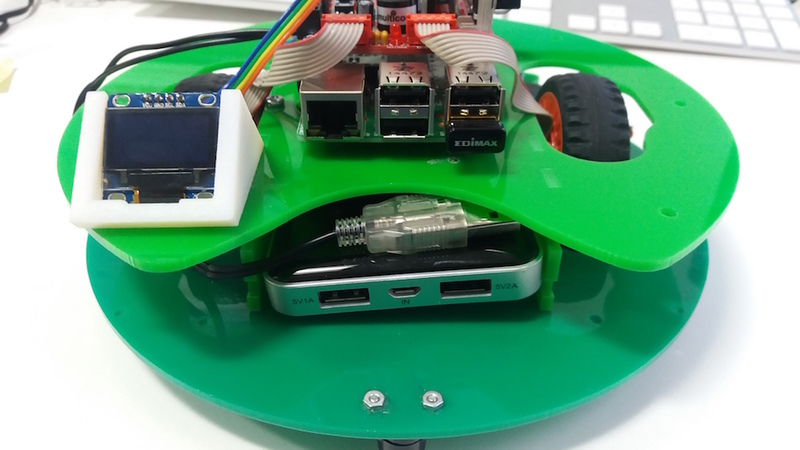 A Raspberry Pi layer with WiFi and several other connection points: 4 USB ports, audio output, HDMI output, Ethernet and the usual Raspberry Pi slots for a video camera. 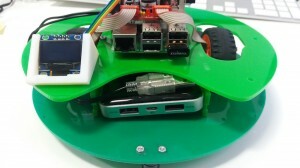 The robot is powered by a standard, rechargeable 5 V battery pack. The ASIP firmware, developed by Michael Margolis and available form https://github.com/mdxmase/asip. This firmware is uploaded on the Teensy microcontroller (described below). 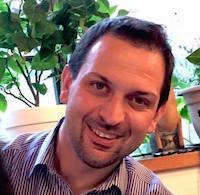 One of the ASIP client libraries: for Racket (http://github.com/fraimondi/racket-asip), for Java (https://github.com/fraimondi/java-asip) and for Python (https://github.com/gbarbon/python-asip). 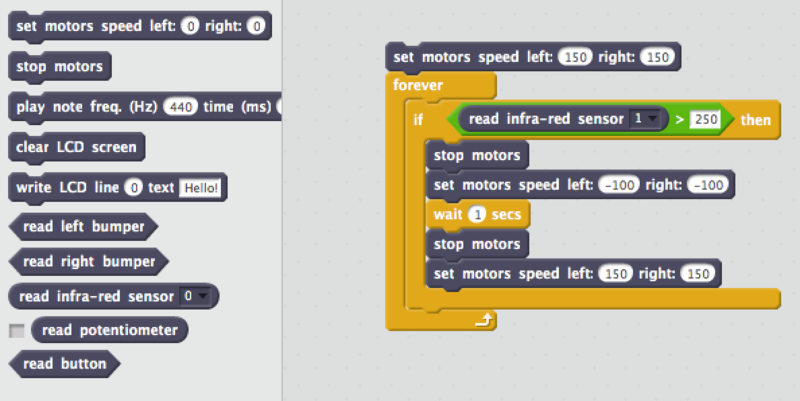 The Scratch extension is included in the Java repository. A Raspberry Pi. We are currently using a Raspberry Pi 2 Model B (but we are investigating the use of a Raspberry Pi 3). 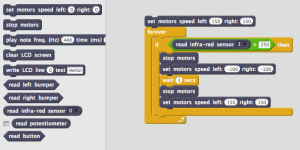 A Teensy 3.2 microcontroller. It has a 32 bit ARM processor, you can think of it as a small but powerful Arduino board with more input and output pins. The wheels are two HUB-ee wheels. 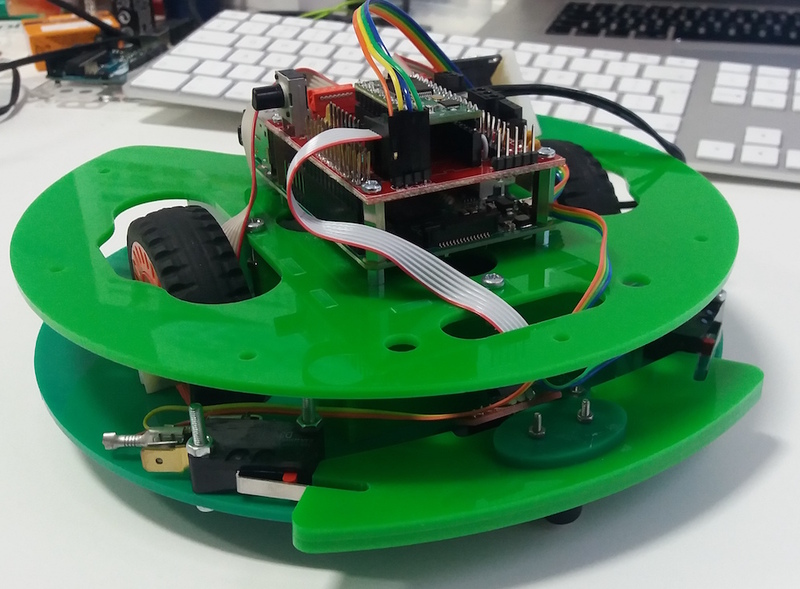 These wheels have built-in quadrature encoders and can be easily controlled using PWM pins. The perspex layers are cut at Middlesex using a laser cutter. The battery pack is just a standard 9000 mAh battery pack with two USB outputs. Please feel free to contact me if you need additional details! This entry was posted in Uncategorized on 03/03/2016 by franco.